Here are two cute guys - which one is Larry and which is Gary? My guess is that Larry is on the left, Gary on the right. Am I right? 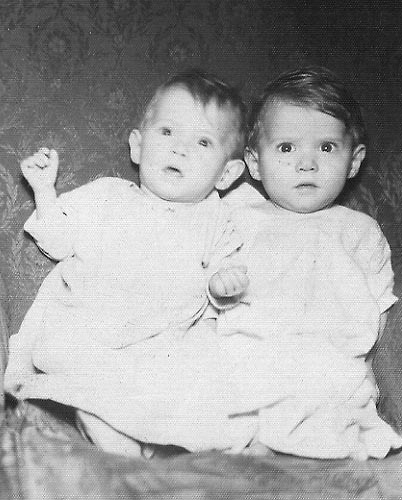 This photograph of Gary and Larry Cook was taken around 1940.